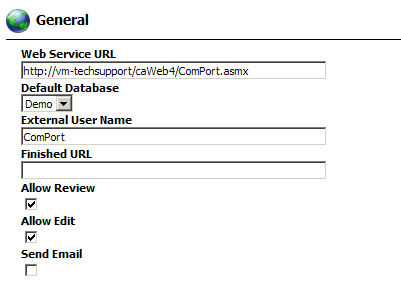 This guide will show how to install and configure ComPort for caWeb4. 1. Run the ComPort installer. 2. Login to caWeb4 and go to the ComPort Administration page. 3. Enter your ComPort License and the external url of your ComPort site. 5. Select the fields you wish the user to be able to edit on the page. 6. 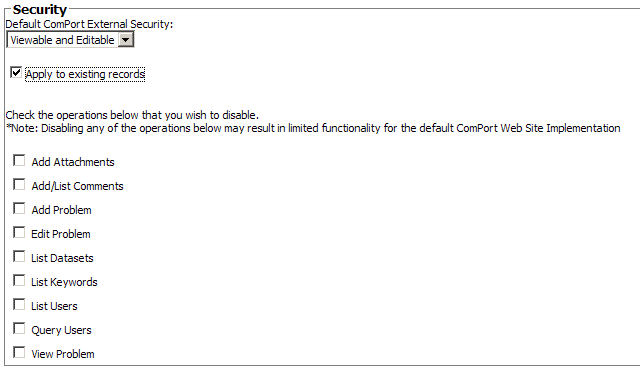 Set the Security settings for the ComPort page. You can setup ComPort to only allow users to enter new issues (Viewable) or to allow user to edit records as well (Editable). 7. Click “Save” to save your changes. 9. Set the ComPort Administrator password. Write this password down and keep it in a secure location. 11. Click “Save” to save your changes.